If you've ever had ice cream made with buttermilk, goat's cheese or yogurt (not fro-yo) then you'll understand the kind of tart tang I mean. I find it so much more refreshing and it's ideal when there's a little something sweet swirled in with the tang. Labneh is a Middle Eastern soft yogurt cheese that you can find in ethic grocery stores and many gourmet markets. But the truth is that I rarely buy it because it's amazingly easy to make at home. 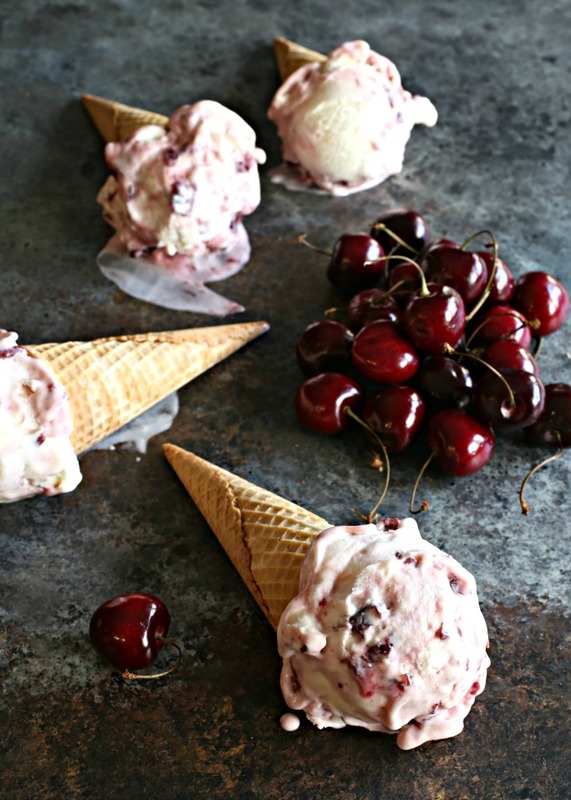 It adds the ideal tart balance for a creamy homemade ice cream and a swirl of sweet cherry compote. This is my idea of summer dessert heaven. Enjoy! 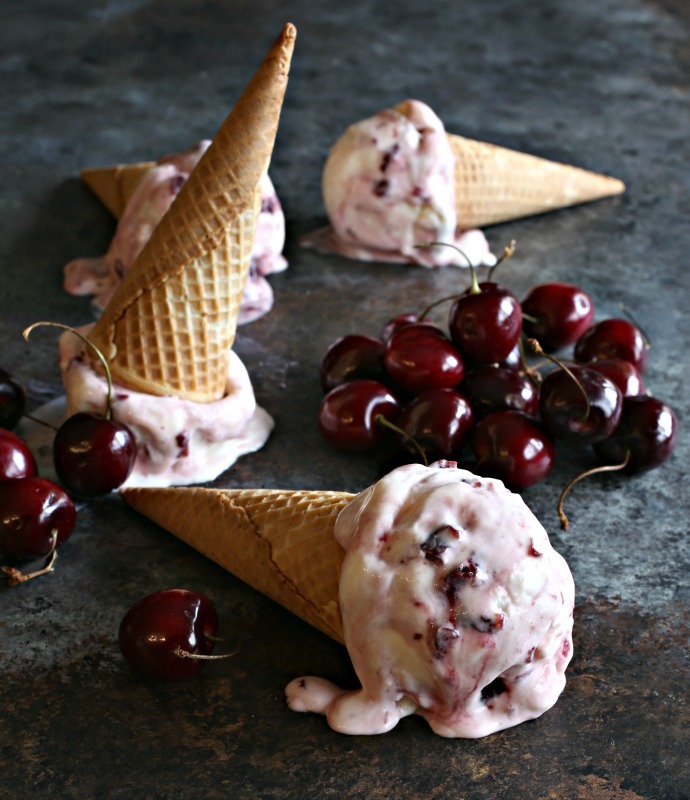 Recipe for ice cream made with milk, cream and yogurt cheese, swirled with a cherry compote. Make the labneh by stirring together the yogurt and salt. Scoop the mixture into a cheesecloth set in a strainer over a bowl. Knot the top to apply a bit of pressure and allow to sit on the counter for 1 hour. Drain the liquid from the bowl and refrigerate the whole set up for an additional hour. Drain any more liquid and the labneh is ready to be used. 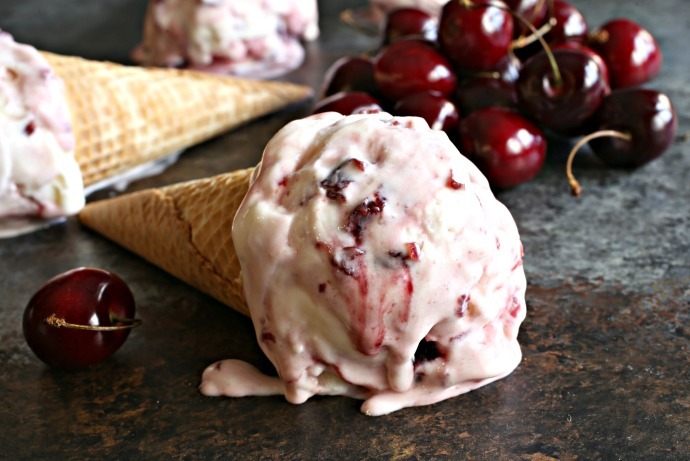 While the yogurt is draining, make the cherry mixture by adding the pitted cherries, sugar, water and lemon zest to a pot set over medium low heat. Cook, stirring often, for about 10 - 15 minutes or until the cherries soften and break down. Remove from the heat, cool completely and refrigerate. Make the ice cream by mixing together the milk, cream, labneh, sugar and vanilla. Note that I usually include a bit of salt in my ice cream base but, in this case, the labneh is salty enough. Pour the mixture into an ice cream maker and churn for 30 minutes or following manufacturer's instructions. 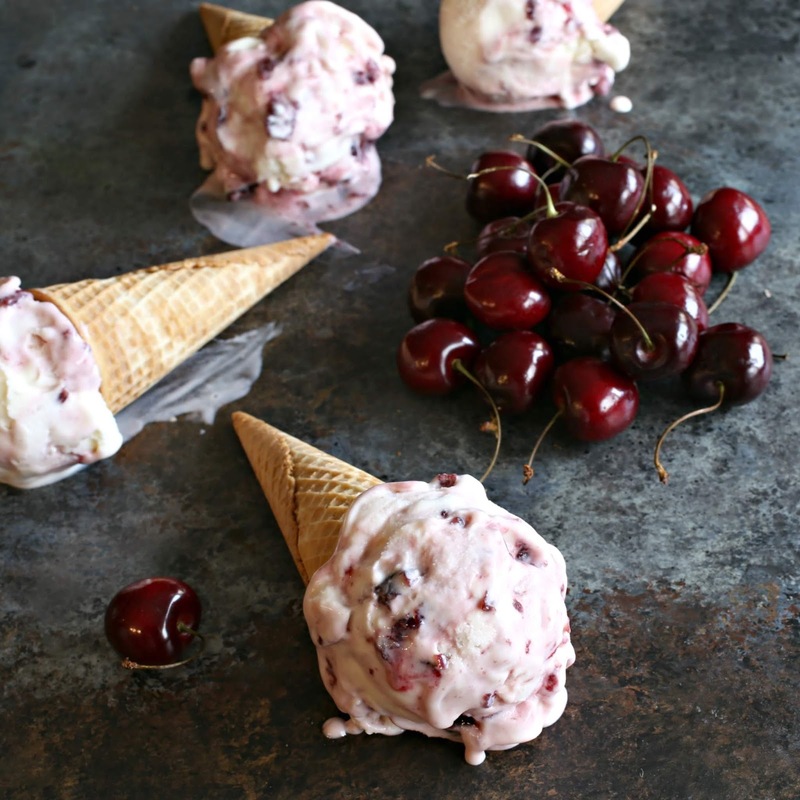 When the ice cream is done, scoop it into a container and gently swirl the chilled cherry compote throughout with a butter knife. It does not need to be fully incorporated. Freeze for at least 4 hours before serving.